Figs are rich in fiber which ensures healthy bowel movement thereby preventing constipation. Laxative nature of figs is very helpful in treatment of chronic constipation. Consume 2-3 soaked dried figs with a tablespoon of honey. Use this continuously for a month every morning to relieve constipation. Figs are rich source of calcium which helps in strengthening the bones and prevent from thinning of bones. Figs also contain a good amount of potassium that counteract the increased urinary calcium loss caused by the high-salt diets, thus help to prevent calcium loss which is important to maintain the bone density. Vision loss in older people is due to macular degeneration. Consumption of 3-4 figs on a daily basis significantly decreases your risk of age-related macular degeneration (ARMD). The high mucilage content in figs, helps to heal and protect sore throats. Mix dries fig and honey in water to get rid of sore throat. For best results, repeat this process on a daily basis until you get the desired results. Figs have been used since ancient times as a cure for sexual weakness. Soaking 2-3 figs in milk overnight and consuming it in the morning is said to be useful for enhancing sexual powers. Fig leaves and fruit are both healthy snack options for diabetics. Fig leaves have anti-diabetic properties. Fig leaves reduce the amount of insulin needed by diabetic patients who are insulin dependent. Being rich in potassium this fruit is useful to control blood sugar levels. Figs potassium may counteract the increased urinary calcium loss caused by the high-salt diets. People having high salt diet may be affected by increased urinary calcium loss. Potassium content in figs helps to avoid that. Consuming figs regularly reduce the risk of Postmenopausal Breast Cancer. Credit goes to high fiber contents that give protection against breast cancer. 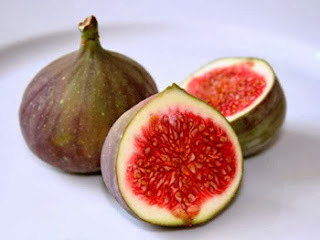 Fiber present in figs is useful to flush out all the harmful toxins from the body including cancer causing substances. Regular bowel movement and flushing out of toxins can prevent colon cancer. Iron is required for red blood cell formation and iron deficiency can cause blood anemia. 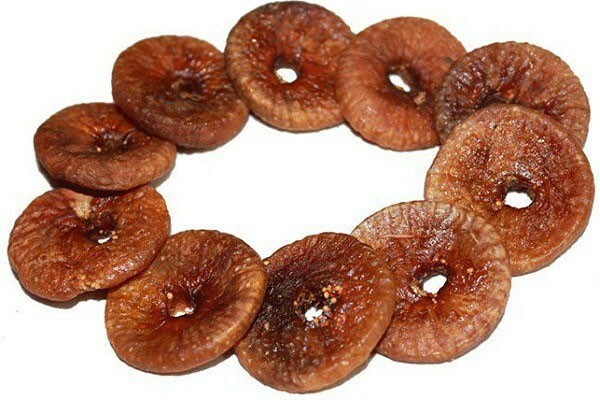 Dried figs are rich source of iron and prevent blood anemia caused by iron deficiency. Consumption of dried figs is highly beneficial in reducing the risk of coronary heart disease. Dried figs contain phenol, Omega-3 and Omega-6 fatty acids. These fatty acids reduce the risk of coronary heart disease. Figs contain Pectin which is a soluble fiber. When we consume soluble fiber it helps to remove cholesterol from the system and flushes it out of the body. Figs are high in potassium and at the same time low in sodium which is very useful to prevent hypertension. Potassium in an important component of cell and body fluids that helps controlling heart rate and blood pressure. People with high blood pressure should frequently consume figs to maintain normal blood pressure. Figs also help a lot to remove kidney stones. Boil 3-4 figs in a cup of water. Consume this boiled fig water daily up to one month to remove kidney stones. (If you don't get relief then consult your problem with doctor). Figs along with milk are excellent for weight gain specially for underweight persons. If you are underweight and want to gain some weight, you can soak 2 dry figs overnight in one glass of milk and consume it before breakfast and you will see the difference within few days.